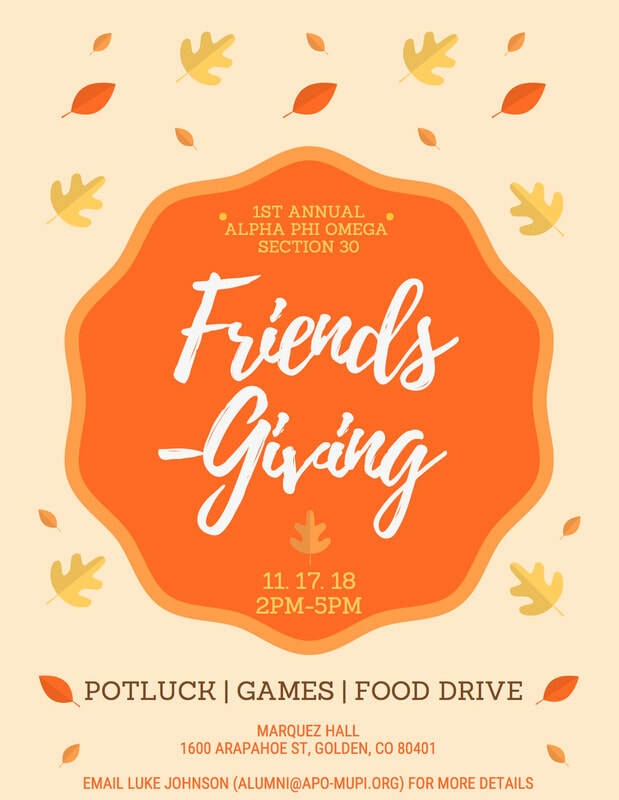 We here at Mu Pi Chapter are pleased to announce the first annual Alpha Phi Omega - Section 30 Friendsgiving. Friendsgiving is an event dedicated to fellowship and service among all section 30 chapters. The event will consist of a Friendsgiving potluck, food drive, and various fellowship activities. Registration for the event closes November 7, 2018. If you or your chapter are interested in attending or have any questions please contact Luke Johnson at the following email: alumni@apo-mupi.org.